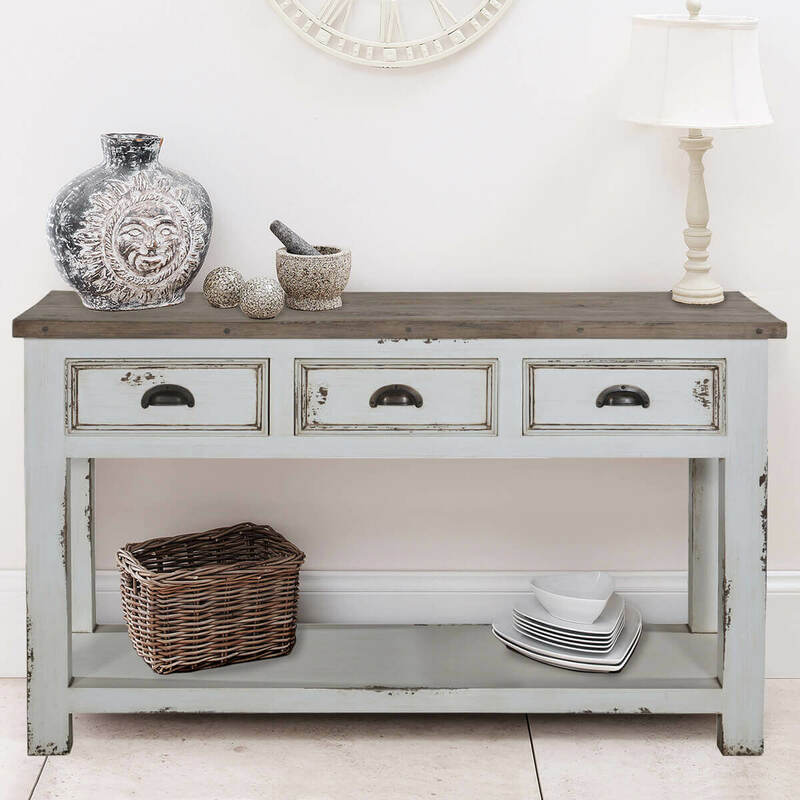 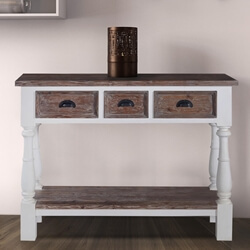 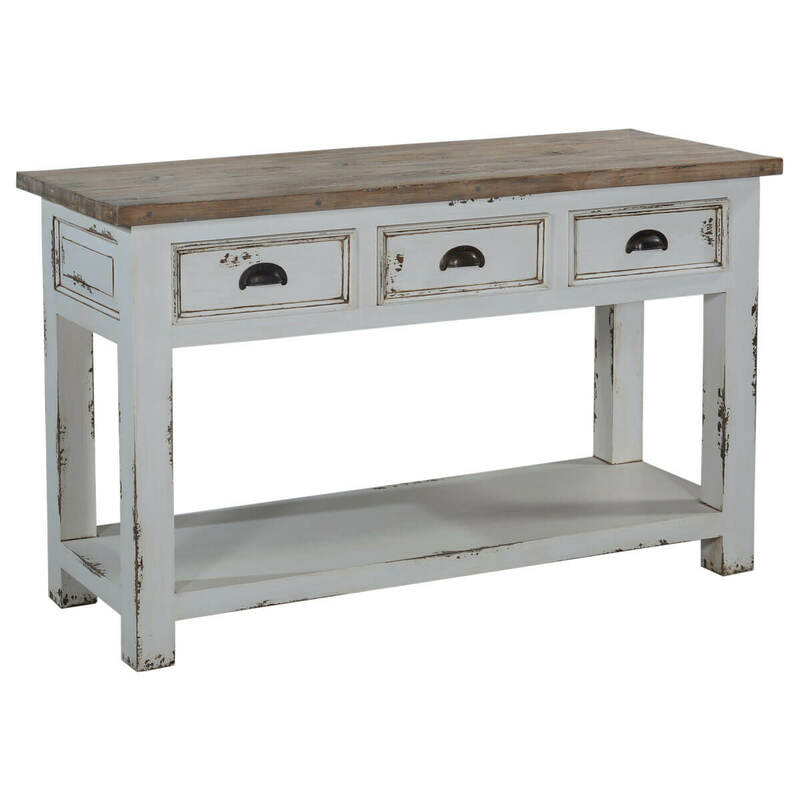 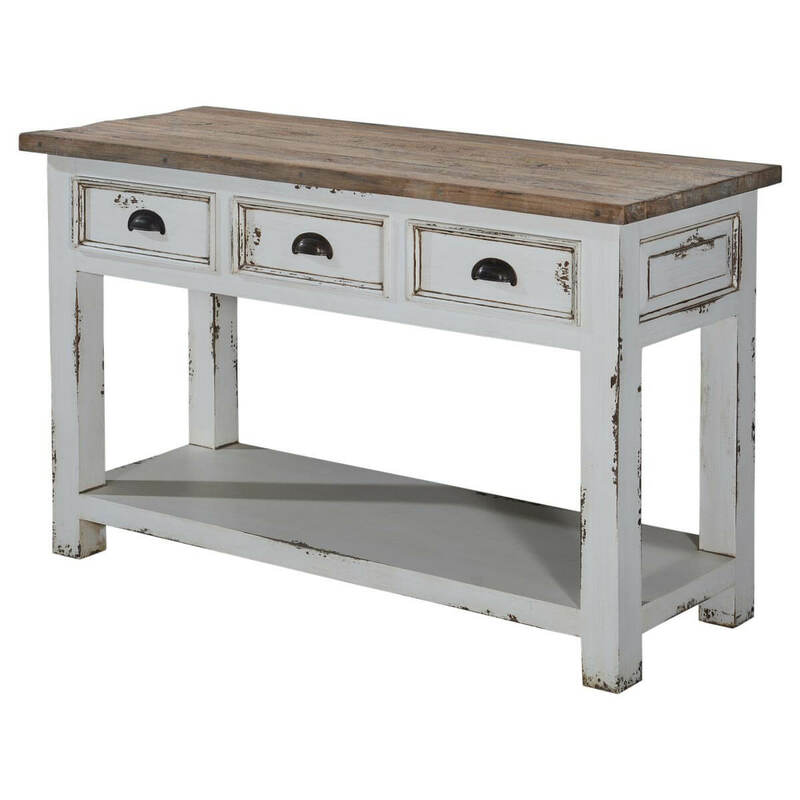 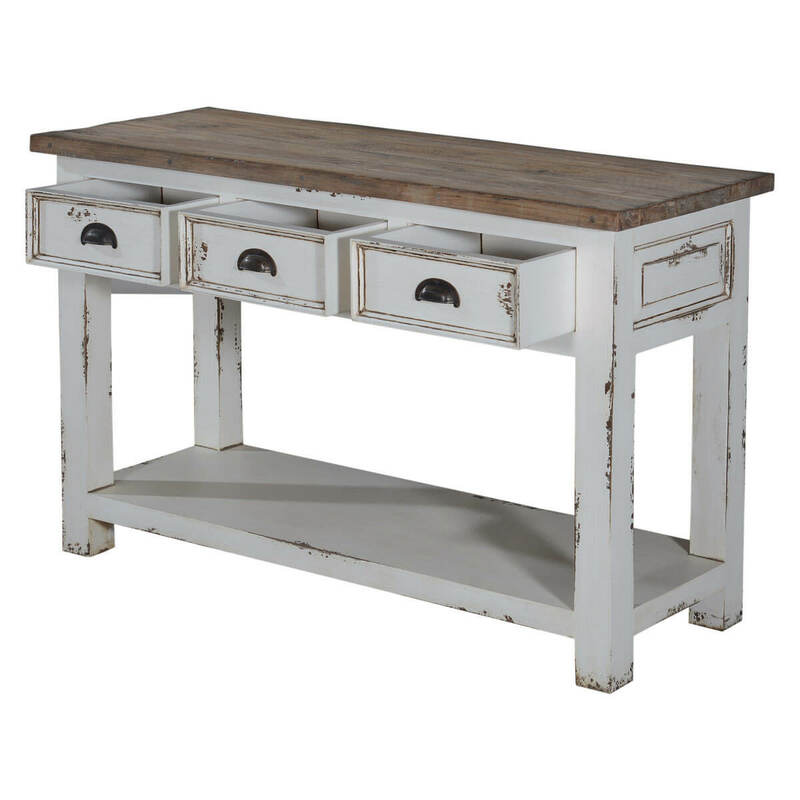 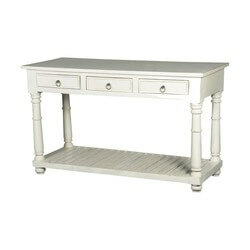 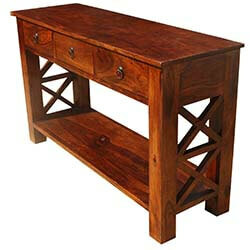 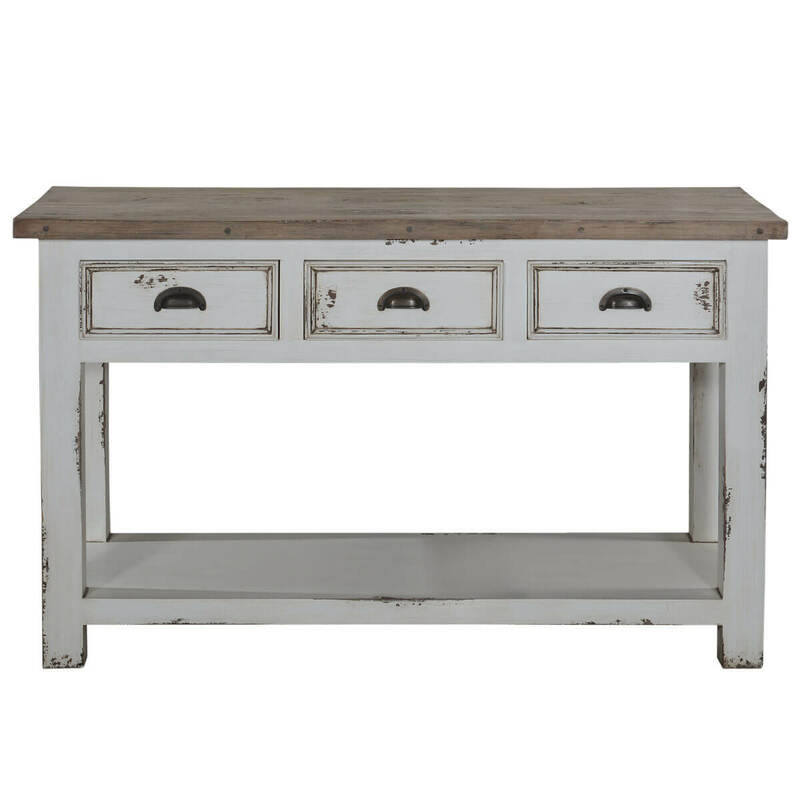 Bring in the dash of rustiness to your hallway or living room with the Penn Rugged White Distressed Recycled Teak and Solid Wood Console Table. 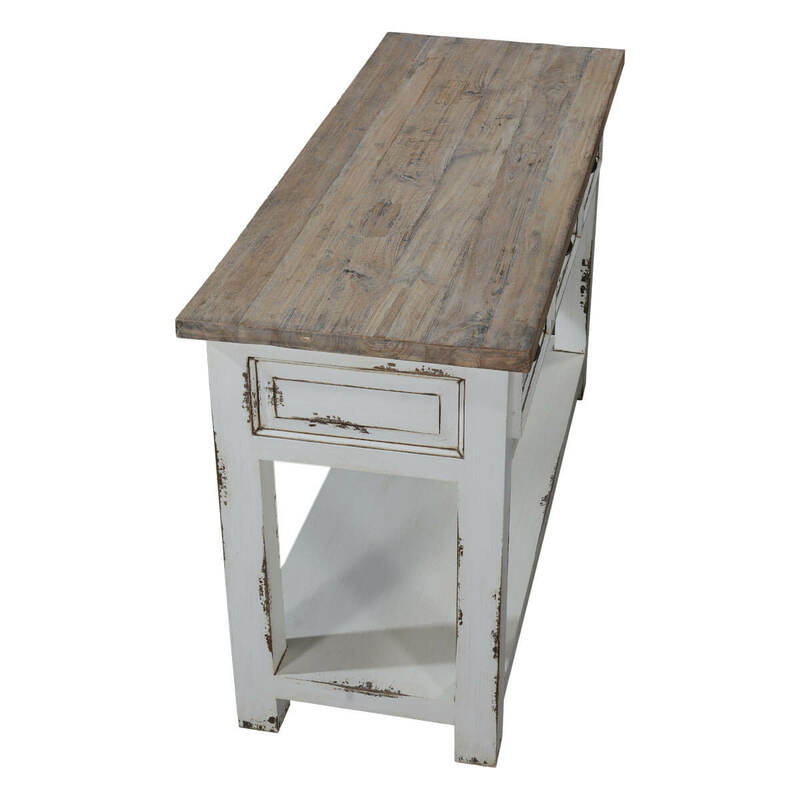 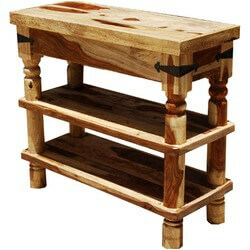 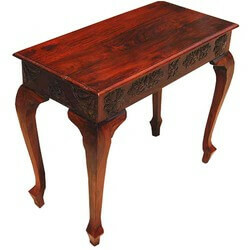 The table exudes distinctiveness through its distressed finish as it showcases weather-pressed characteristics. 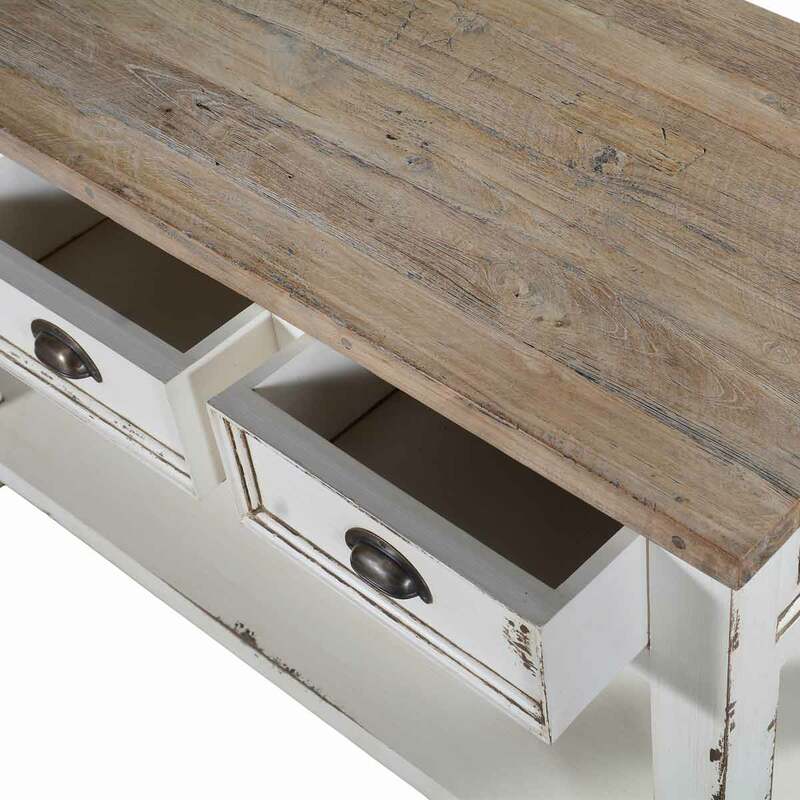 The top is handcrafted with durable and highly resilient recycled solid Teak wood while the rest of the body is created with other solid wood. 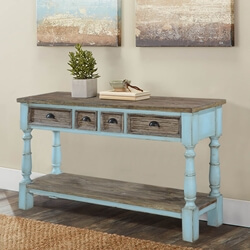 The console table features three frieze drawers with hand-wrought metal hardware to store day to day items or personal belongings. 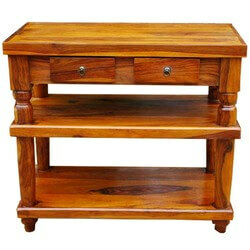 The bottom shelf is perfect to keep handy items within reach. 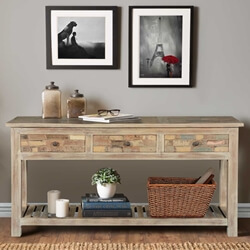 The table is exquisite and functional when you are looking out to extend storage space while wanting to elevate the visual appeal of the room.